Scrapebox has come a long way since the first start and is an incredibly powerful tool that has thousands of users to date. You probably arrived on this page searching for a good Scrapebox auto approve list. Let’s face it, blog lists are no longer suitable to be used directly on your main site(money site). However, as you already knew that is the perfect way to index your “tiers” fast. I’m a Scrapebox list provider since February 2011. My official website is scrapeboxlist.biz and I strongly recommend you to check it out since that is the place where I’m promoting my Scrapebox auto approve lists and where I’m offering 40% discount coupons for each Scrapebox aa list I’m launching every month. Sometimes I’m offering free lists as well. At this moment my latest list was launched in April 2019 and it has over 300000 Auto Approve Links. For full details just click here. I used to offer my auto approve blog lists on different SEO forums like Wickedfire(back in the days), Blackhatworld, Scrapeboxforum.com and couple of others. However, I’m still active on BHW forum where you can check out my BST thread and contact me if you need any kind of support. Of course, support is given out for each of my clients via email no matter if they are a member of a forum or not. How many Scrapebox lists do you launch every month? Are they unique auto approve lists? Usually, I’m launching about one or two Scrapebox lists per month. As I told you above yes, all my lists are unique. I can offer new links from new domains with every package that I launch since I’m harvesting over 50 millions of links every couple of weeks. After removing duplicates and crappy links I just post with several Scrapebox instances 24/7 for about a week. Then is time for checking the found entries/stick rate and…the result will be a fresh auto approve list. Everyone can do this, is not rocket science. You just need some good resources. VPS’s or Dedicated Servers, a tone of private proxies and some free time. My clients just prefer to buy Scrapebox lists from a supplier directly so they can save their time for their own projects. What is the size of your auto approve lists for Scrapebox? Anything between 100.000 and 300.000 auto approve links from about 5000–9000 unique domains. This includes few thousands dofollow auto approve links and hundreds of links from .edu and .gov authority domains. How can I use such a Scrapebox list? Price of these Scrapebox lists? The regular price for each package is $49. Is a fair price considering the amount of time it takes to build a quality list. However, for my subscribers the price is 40% discounted so you can download it with only $29. Don’t worry, I never promote affiliate crap to your email. 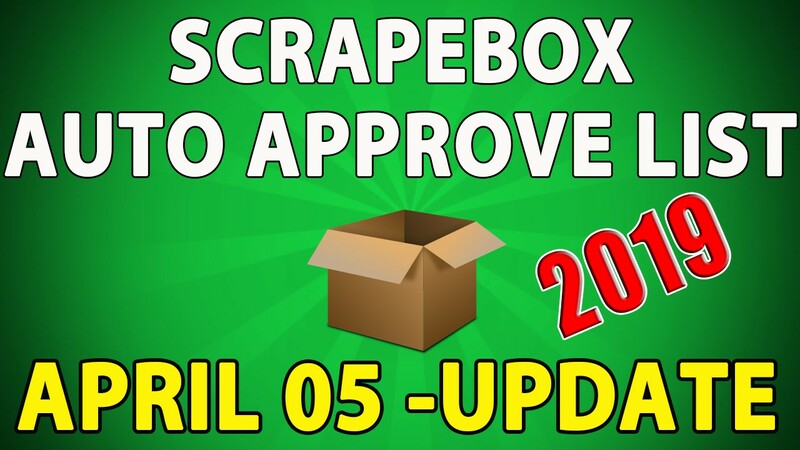 I’m just sending one or two emails per month each time I’m launching a new Scrapebox auto approve list. How many copies do you sell? I’m making these auto approve lists using 5 Scrapebox licenses, 5 VPS’s and a lot of proxies. Public proxies for harvesting and private for posting. Some people asked me why I don’t use any automatic bot/custom bot to build my Scrapebox Lists. Is simple actually. Because I want to keep the quality of the list, and when I’m talking about quality I’m referring to a high success rate and a high stick rate. Let’s face it, is very hard these days to find auto approve blogs with less than 100 comments(maybe those where you need to register but those are manually approved). So, the quality of a Scrapebox list = High success rate and not un-spammed blogs. Why don’t you offer monthly subscriptions? Because that’s just greedy. I have clients who are buying each of auto approve blog list in the last couple of years or more. On the other hand, some marketers want to give it a try with a single list for a small project they have. Is not fair to limit him to a subscription service when he actually wants to buy a single list. Ok, I read all your crap. Can you show me some real reviews? Nobody wants to waste time finding out the best connection settings while you could be link building instead right? Let’s talk about some Scrapebox settings you need to use in order to get maximum results. You are going to set this depending on your number of proxies and your VPS/PC. If you are using just 10–20 proxies, I recommend you to use max 40–50 connections in order to get a high stick rate. Also, don’t forget to set your timeout settings at 120s. When posting to the blogs from our auto approve list some sites might fail. That is why we highly recommend reposting all failed links at least once. When you have done posting you will want to check to see if your backlinks are actually there. When link checking, please check the complete (failed and posted) entries. This is because Scrapebox sometime says failed but in reality, your link was added successfully. Public proxies only have one good aspect; they are FREE. You will want to find public proxies that have low latency and pass the IP test in ScrapeBox. Be sure to collect a good number of public proxies as they can be quite unreliable as public proxies are abused by ScrapeBox users and many are blocked by Google. We strongly recommend using private proxies when posting. 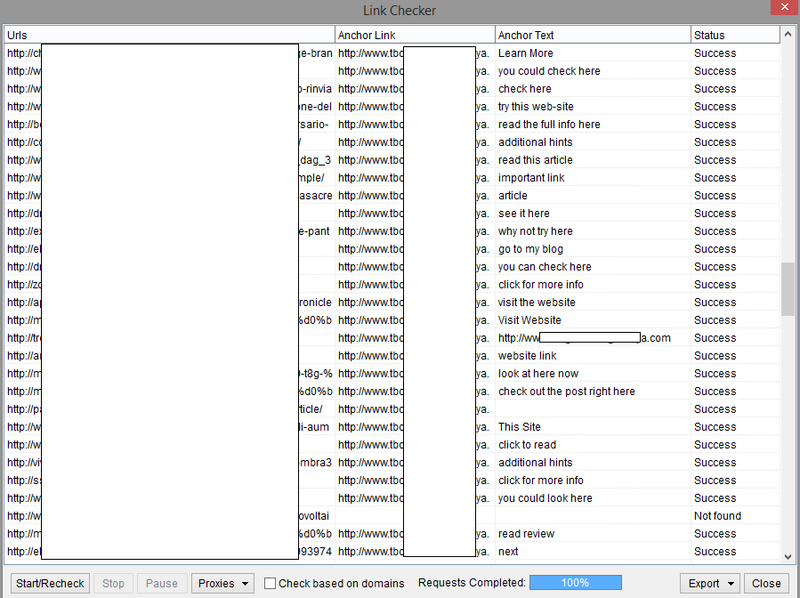 If you are serious about link building with Scrapebox then private proxies are the way to go. Private proxies will have a much higher success rate (75%-90%) when posting and are a lot more stable than public proxies. Actually, you don’t even need private proxies. Semi-dedicated private proxies are almost as good and they are way cheaper. If you are interested in using Private Proxies we recommend Buyproxies. You can view their service details on my website. Ok from this point forward I will assume you have a reasonable understanding of how to run Scrapebox poster module in order to get maximum for my Scrapebox auto approve lists. If you still encounter certain problems you can always contact me after your purchase.